Ted Gozzard designed clipper bow cruiser. 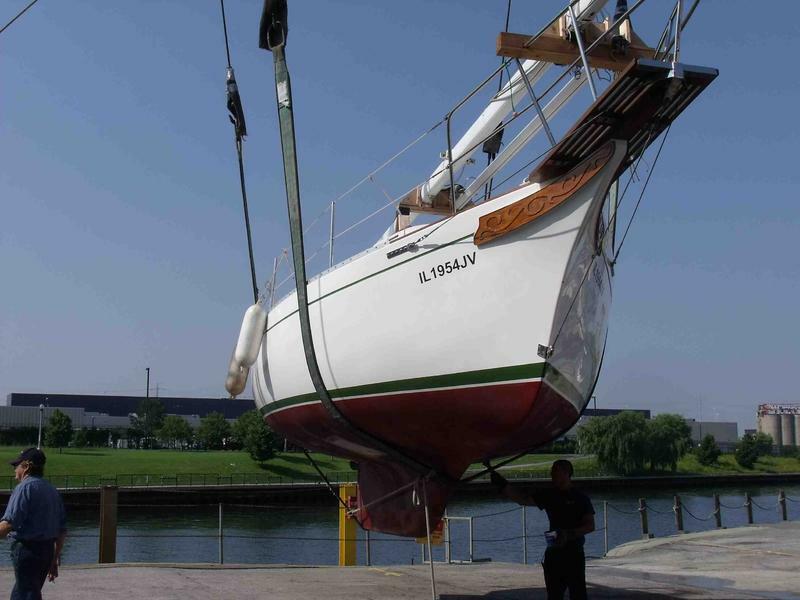 Cutter rig, shoal draft full keel, keel stepped mast, tiller steering, well maintained Yanmar 2GM. 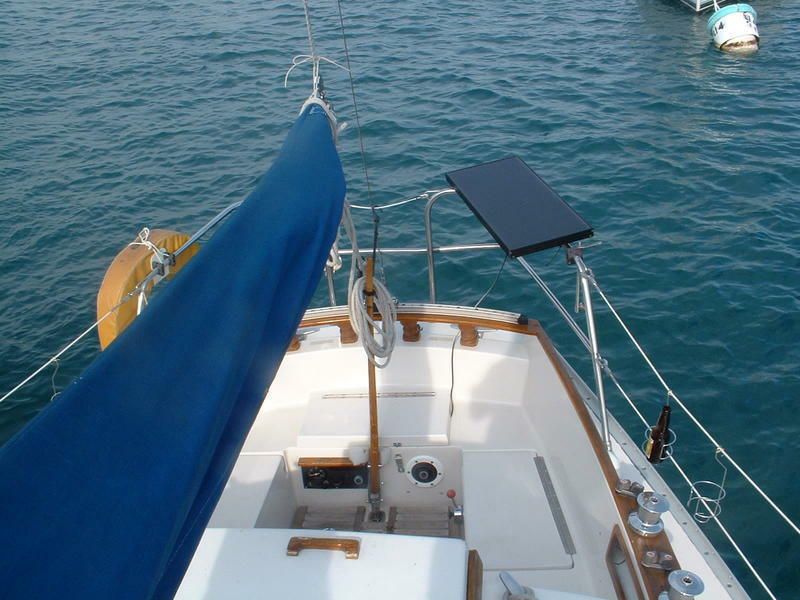 Gelcoat topsides and stripes in excellent condition (refinished using premium ISO/NPG Polyester Gelcoat in 2008). 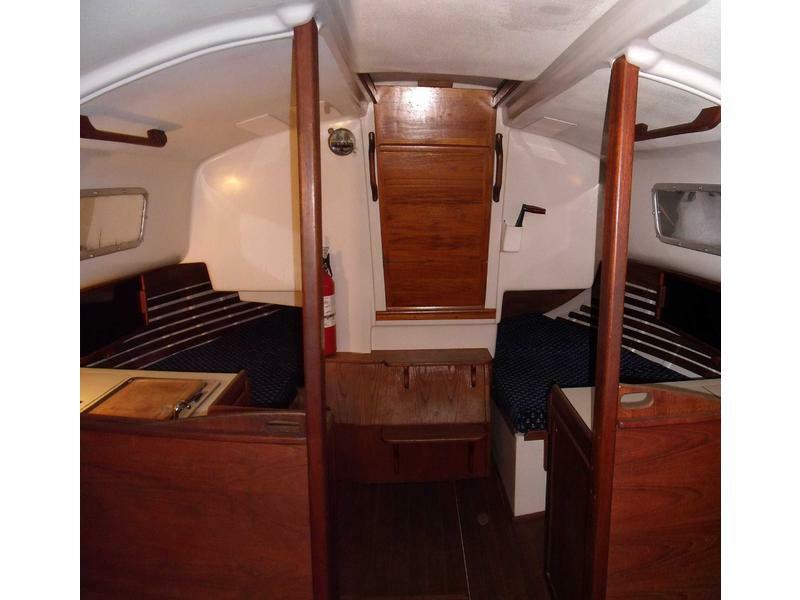 Brightwork stripped bare and refinished 2010 (Interlux Schooner 96 spar varnish). 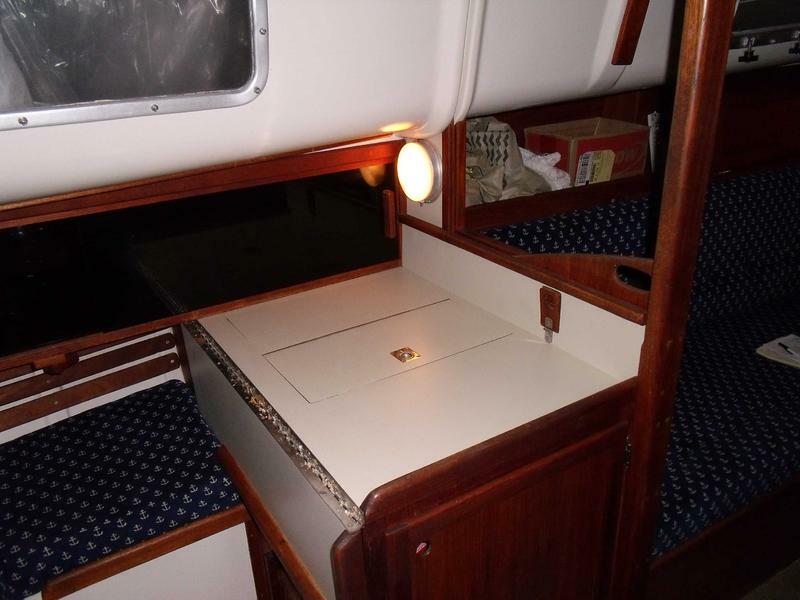 Unique, roomy interior layout with ample storage and one of the nicest head compartments you’ll find in a boat this size. Roomy side decks and excellent access to engine and all systems. 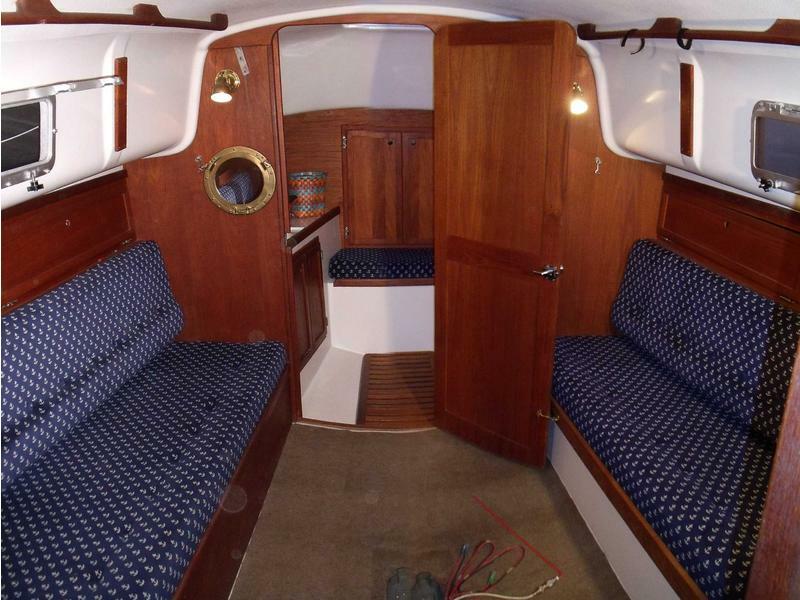 Sleeps 5 with a pull-out double berth to starboard in the salon. Opening ports in salon and a hatch forward in the head compartment. 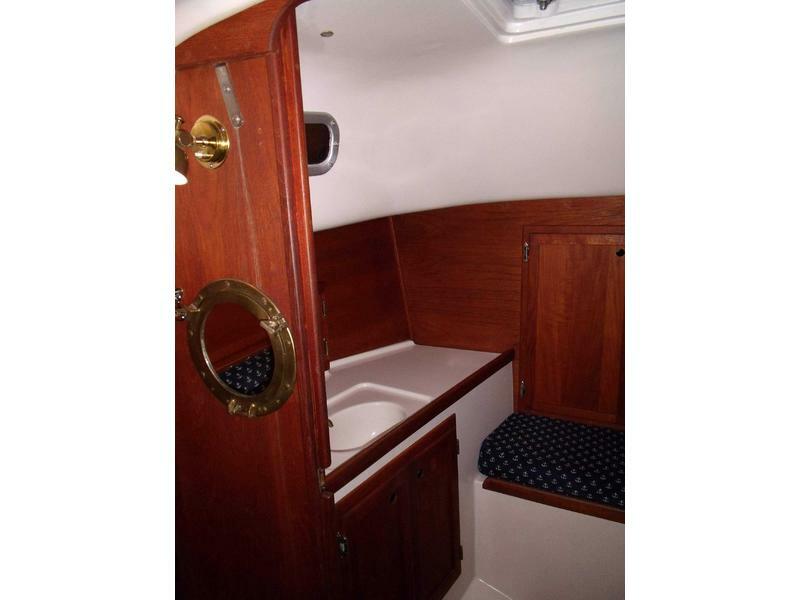 Pressurized water in head and galley. 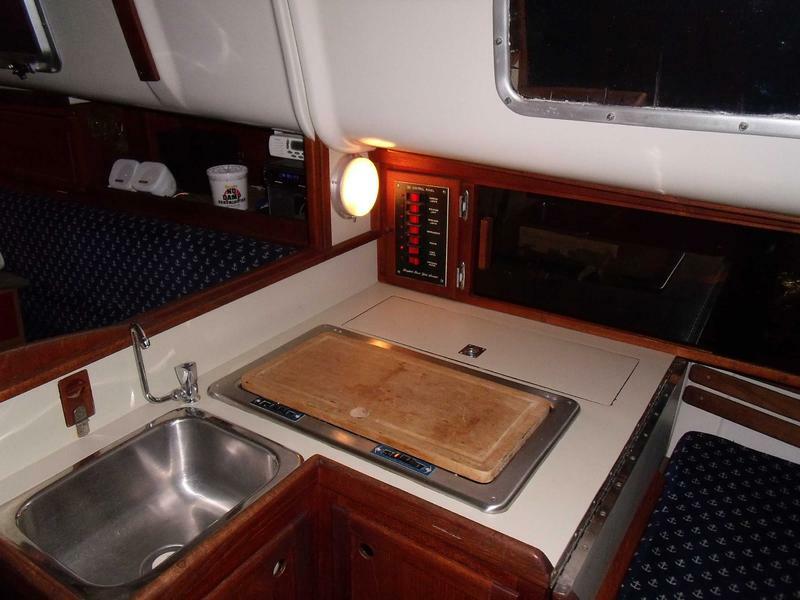 Seward double-burner alcohol stove and a roomy icebox in the galley that doubles as a nav station. Tank Capacities: Freshwater/20 gal; Waste/20 gal; Fuel/15 gal. 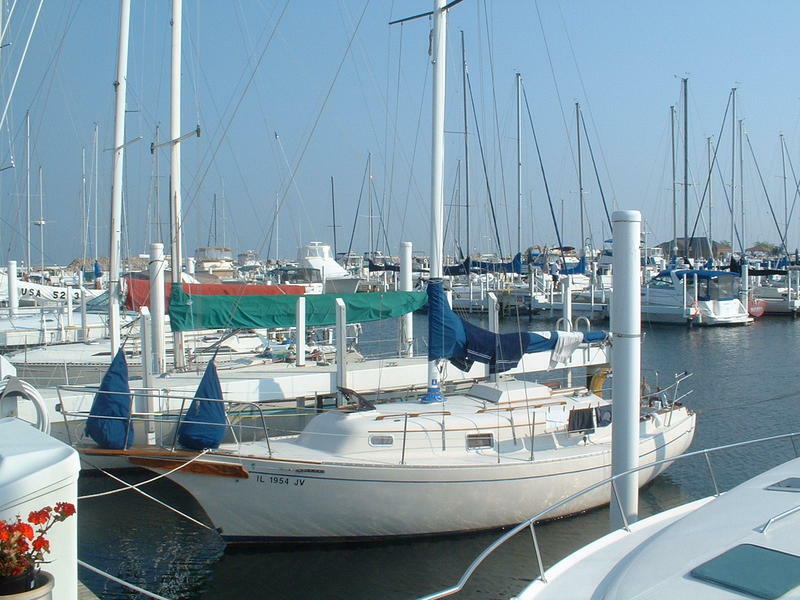 Second owner; always sailed on Lake Michigan; stored mast-down indoors during Winter. 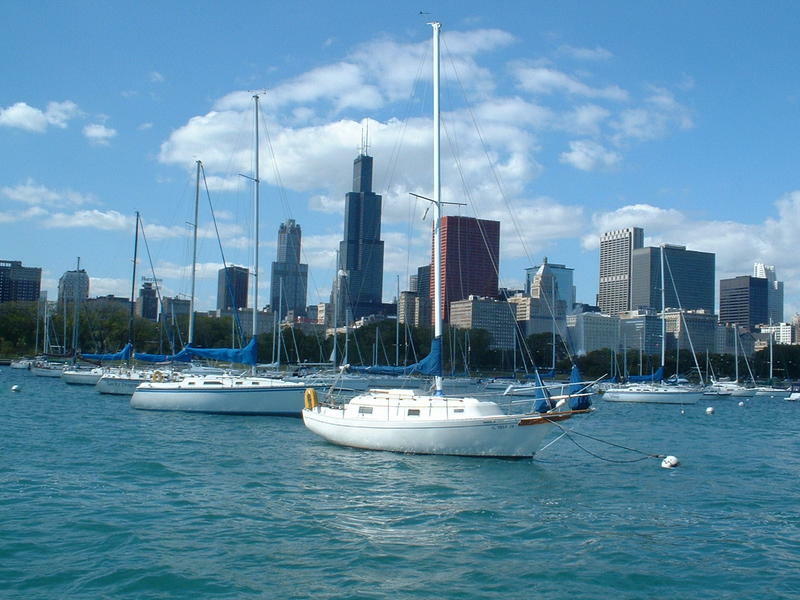 This boat has sailed across the lake many times and can handle any conditions. Cutter rig not only looks ‘salty’ but affords many options for shortening sail during heavy weather. Still in the water but will be hauled out in early October. Shell ST20 solar panel w/regulator, Blue Sea 7610 automatic charging relay, dual Optima D34M AGM batteries, Lowrance X88DF depth/fishfinder, fixed mount VHF, AM/FM/CD with interior and cockpit speakers, washdown pump, shore power kit, 7′ fiberglass dinghy, steel cradle. 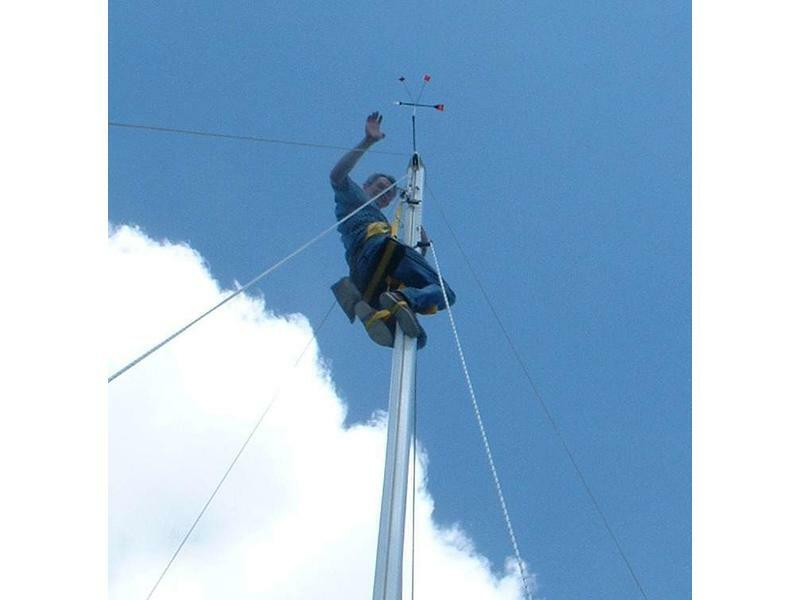 Misc gear includes sail covers/deck bags, anchor, dock lines, boat hook, PFDs, flares, etc. Not shown but there is also a teak drop-leaf table that surrounds the mast step/shoe in the salon.